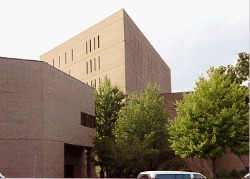 The Roanoke County Sheriff's Office is proud of our jail and the staff who operate it. It is our philosophy to provide temporary supervised housing for persons entrusted to the Sheriff's Office's care, to meet their basic human needs, and also provide programs that will assist those persons in becoming a productive part of society upon release from our jail. Lieutenant Colonel Brent Hudson is a native of Salem and has proudly served the valley in a law enforcement role since 2001. Lieutenant Colonel Hudson is 1 of 9 close family members that have served in law enforcement and is a third generation officer following in the footsteps of his father and grandfather. Lieutenant Colonel Hudson has a broad knowledge of law enforcement with his background as a police officer and as a deputy sheriff. Lieutenant Colonel Hudson believes in taking a positive role with our youth in the valley to prevent criminal behavior as well as providing a safe community for our citizens. •	To serve the citizens of this valley by providing a safe and secure Jail that operates on a fiscally responsible budget. •	To provide adequate education and special programs to inmates that will reduce recidivism. •	To work with community and faith based organizations to prevent criminal activity and provide educational programs for our youth. •	To hold accountability of this office and treat others with respect, dignity and honesty. 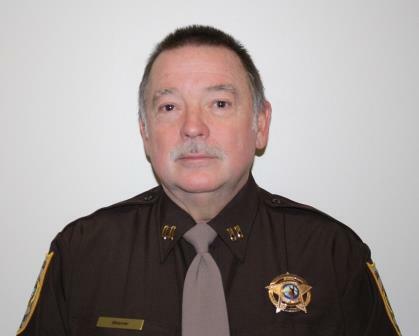 Jeff Shaver serves as the Captain of the Corrections division. He brings 32 years of law enforcement experience to the position, having worked for the Roanoke City Sheriff's Department until his retirement in 2013. During those years, he worked in the Jail and Court divisions and achieved the rank of Lieutenant Deputy Sheriff in the Jail division. Jeff is a lifelong resident of Roanoke, having attended Northside High School and Virginia Western Community College. Jeff and his wife have been married 36 years and have two children.